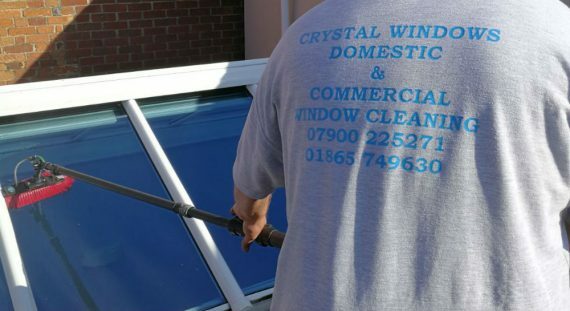 We’re a family run business that specialises in residential and commercial window cleaning. We also offer a range of other services including gutter clearance, fascia cleaning and conservatory and roof cleaning. 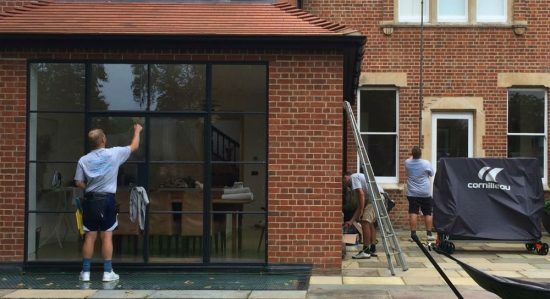 Enhance the look of your home or business by utilising our team of professional window cleaners. We have a fully trained team of experts ready to make your windows look as good as new. 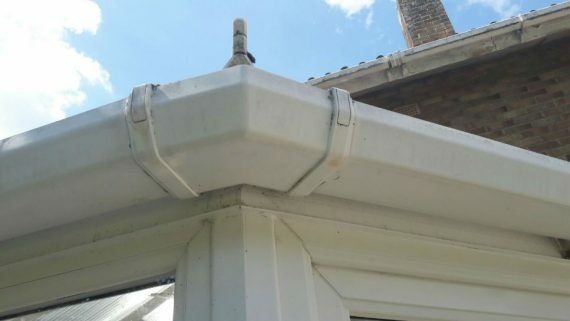 Our fascia and soffit cleaning service really helps to improve the look of your UPVC fascia and soffits. Having these regularly cleaned will help reduce the build up of dirt, grime and the risk of permanent stains. Keep your conservatory windows gleaming with our conservatory cleaning service. 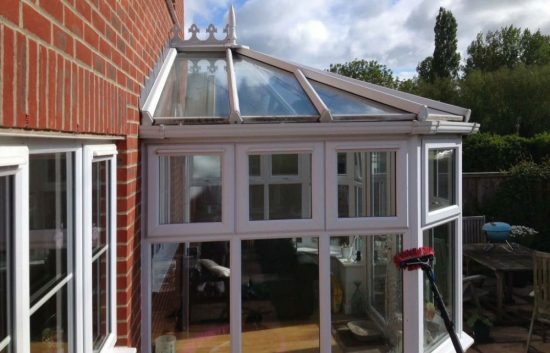 We’ll use traditional window cleaning tools for the main windows and then our state of the art Reach and Wash system for the harder to reach places and roof panels to ensure a full top-to-bottom clean of your conservatory. If forgotten about, your house roof will no doubt contain a large build up of moss and dirt. 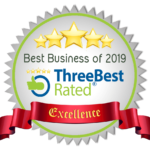 Our team will remove the majority of the moss by hand and then give the roof a soft wash using our Reach and Wash cleaning system to take care of the rest. 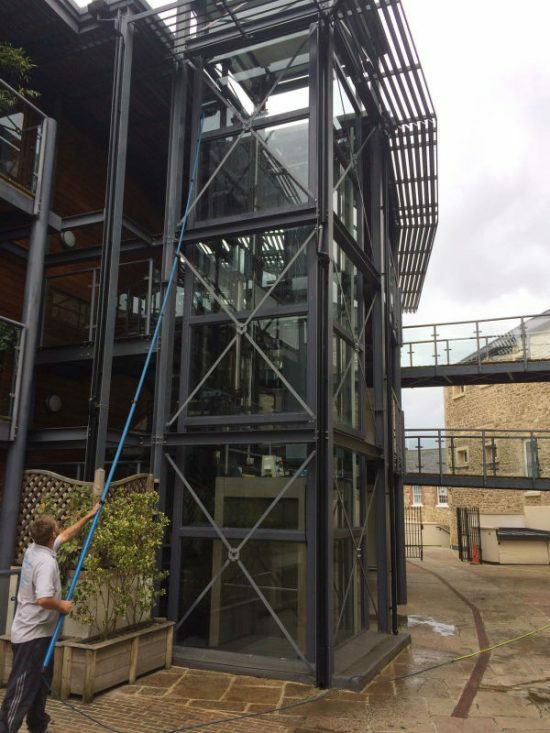 If you’d like to use any of our window cleaning services in Oxford or Abingdon then please either give us a call on 01865 749630 or drop us an email. The Reach and Wash system is a trusted global brand and the industry standard for window cleaners worldwide. The system uses telescopic poles to allow for greater reach and a soft brush to scrub away unwanted dirt. The water jets release pure water which contains zero chemicals, allowing for a better clean and a spot-free finish leaving no marks behind. There are some jobs for which a ladder and/or Reach and Wash just won’t suffice. 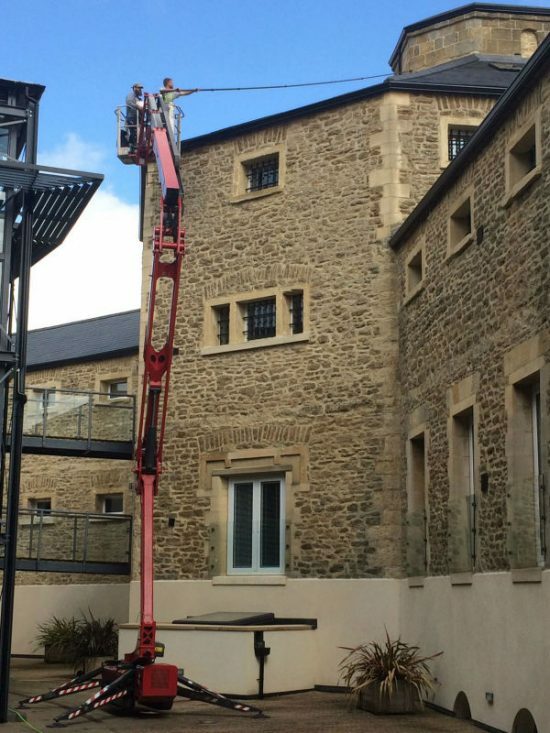 To ensure our customers needs can be met no matter what the circumstance, we regularly hire hydraulic lifts for larger buildings and to gain roof access where required.